Discover the delights of sailing in the paradise islands of French Polynesia. Hiva Oa, Nuku Hiva, Raiatea, Bora Bora, to name just a few of the thousands of amazing islands and coral atolls that form one of the world's greatest sailing areas. American and Canadian West Coast cruisers can now discover the delights of cruising in paradise on their own boat with the new ARC Pacific Rally. World Cruising Club - the global leader for transocean sailing rallies for cruising yachts is opening up a new route from the US Pacific Coast for Spring 2018. 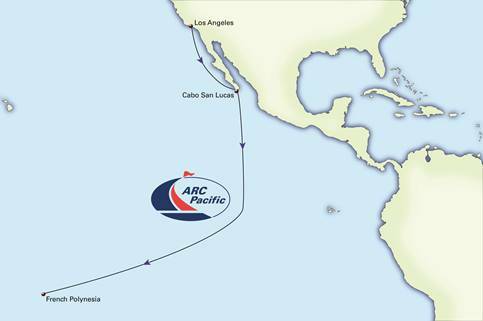 The ARC Pacific rally will be a cruiser's gateway into the central Pacific, heading out from Los Angeles CA in Spring 2018, on a two-stage route to French Polynesia, via Cabo San Lucas in Mexico. Heading to Mexico offers an ideal shake-down passage and a chance to prepare for the "big-hop", the 2,900 nautical mile passage to Hiva Oa in the Marquesas Islands of French Polynesia. The reward for this ocean adventure will be the chance to explore the world's most extensive cruising area of tropical islands, a true sailor's paradise. World Cruising Club is best known for the Atlantic Rally for Cruisers (ARC), which has been crossing the Atlantic each year since 1986, and the Caribbean 1500, the east coast US rally to the Caribbean, running since 1991. For the first time, US and Canadian West Coast sailors will be able to benefit from these many years of experience and knowledge to make their own bluewater dream a reality. Many of the challenges of crossing the Atlantic, apply equally to the West Coast route into the Pacific, with little opportunity for cruisers to gain ocean experience locally. The new route is being run is association with Naos Yachts - the Los Angeles agent for Beneteau and Lagoon sailboats. The principle of Naos Yachts, Charles Devanneaux, a highly experienced ocean racer - has sailed twice in the ARC rally with his family . 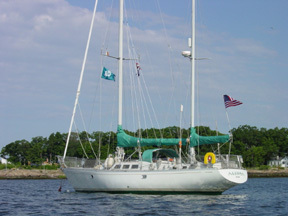 "I wanted my clients on the US west coast to enjoy the benefits of sailing with the ARC" explained Charles. "We've got many cruisers based in these waters who aspire to go bluewater sailing and the French Pacific is the dream destination for everyone. The new ARC Pacific will certainly help west coast cruisers to achieve their dreams. I know from my own experience just how much preparation and planning in needed for ocean voyages. The team at World Cruising Club, with over thirty years experience running the ARC are the ocean experts and will ensure that all the ARC Pacific sailors have a safe, enjoyable and successful ocean passage." As with all World Cruising Club rallies, there will be help and advice before the rally, with seminars and get-togethers sharing tips on weather, passage planning and boat preparation from World Cruising Club's experienced team - all ocean captains and cruising sailors. At sea, regular routed weather forecasts will help keep cruisers safe, whilst family and friends can track their progress via the rally website. For cruisers wanting to base their sailboat in the French Pacific islands, or even sail around the world, ARC Pacific will be their first step towards the adventure of a lifetime. 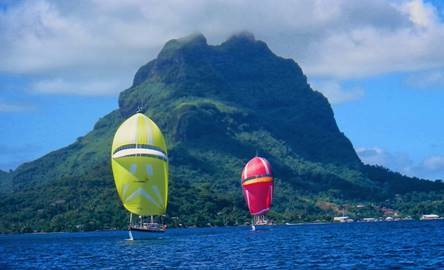 For those wanting to cruise further, the rally is timed to allow boats to join with World ARC round the world rally on from Tahiti.